Epic opportunity to own a one of a kind modern-century mansion in the heart of LoHi. 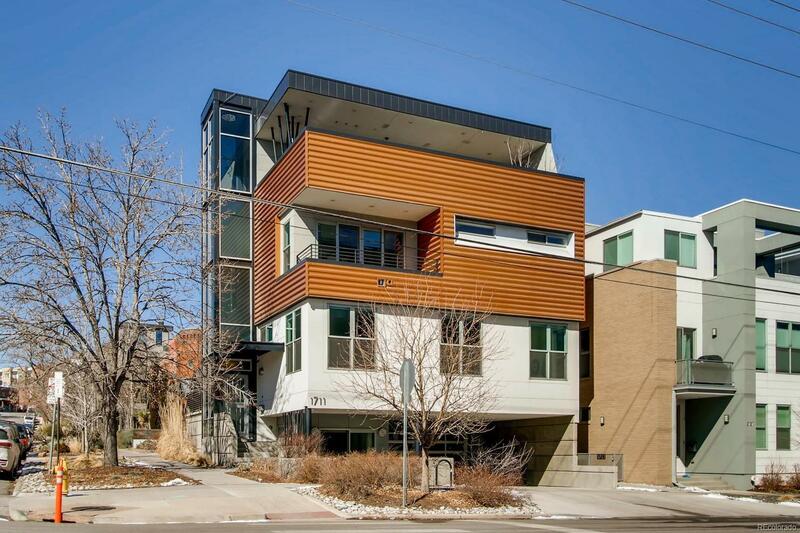 This iconic Sprocket designed home stands tall on the corner of 17th & Boulder St, steps from dozens of chic restaurants, shops, and the pedestrian bridge allowing quick easy access to downtown. This sprawling 4,746 sq/ft home includes 6 beds/5 baths, 10' ceilings, gourmet kitchen, reclaimed rustic local beetle kill floors, master suite w/ private balcony, sunken jetted tub and glass enclosed shower w/ dual heads, and 2 car garage w/ 4+ additional off street parking spaces. 1711 Boulder St is more than just a home, itâs an entertainers palace. When the real fun starts, take the elevator up to the 932 sq/ft penthouse rec level with 744 sq/ft rooftop deck. The spectacular top level includes wet bar, refrigerator, wine cooler, kegerator, and 3/4 bath. The roof top deck includes a built in hot tub & fire pitÂ Â with natural trees for privacy and city and mountain views. Too many other features to include!